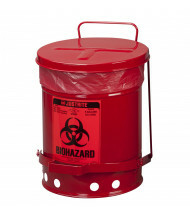 Save over 40% when shopping with our selection of biohazard waste safety cans. 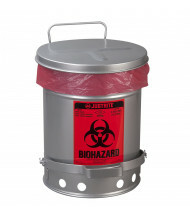 Top-selling brands Eagle and Justrite provide quality safety products at an affordable price. Available in durable high density polyethylene or steel for long-lasting use. 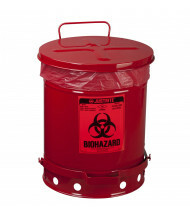 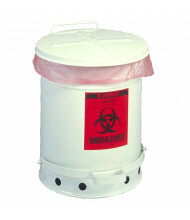 Biohazard waste safety cans give temporary storage for hazardous materials awaiting disposal. 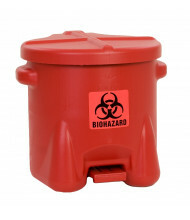 Foot operated self-closing design reduces exposure by allowing hands free use. 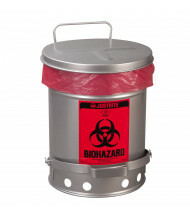 Available with maximum capacities between 6 to 14 gallons in red, white, or silver. 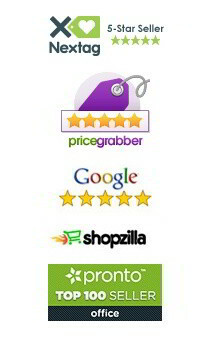 Use the Shopping Options on the left to narrow your search by price, capacity, or manufacturer. 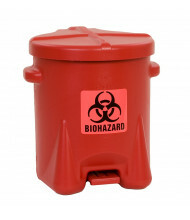 Hover over the product images for our easy-to-use Quick View feature to see important general information on each model.